Oh Bulletproof Coffee, how I love thee. You’re the perfect way to start my day. Creamy, frothy, and fatty with a bit of caffeine, you leave me with a clear mind and sustained energy that lasts throughout the day. There are very few establishments that create that perfect cup of butter coffee. 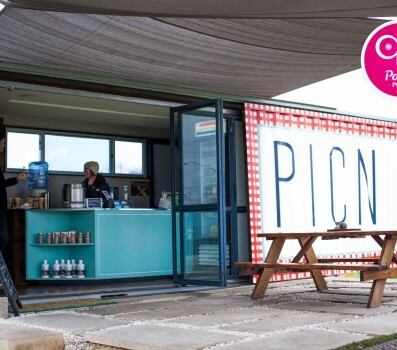 Austinites know Picnik Austin, the killer shipping container café on South Lamar in beautiful Austin, TX. Naomi, Randi and everyone at Picnik not only make a stellar cup of butter coffee, but as soon as you arrive you instantly feel like family. Once you visit Picnik you’ll be hooked. Trust me. Picnik shares the title for best Butter Coffee in the states with their friends to the West, mmm…COFFEE! in Denver, CO. Derek, Jami, Kat and the rest of the mmm…COFFEE! team are some of the greatest people you could hope to meet. Of course they make a great cup of butter coffee, but Jami also cooks up a complete, seasonal 100% paleo menu that includes everything from Sardines on Greens to Paleo Blondies. Like Picnik, a single visit to mmm…COFFEE! and you’ll be hooked. 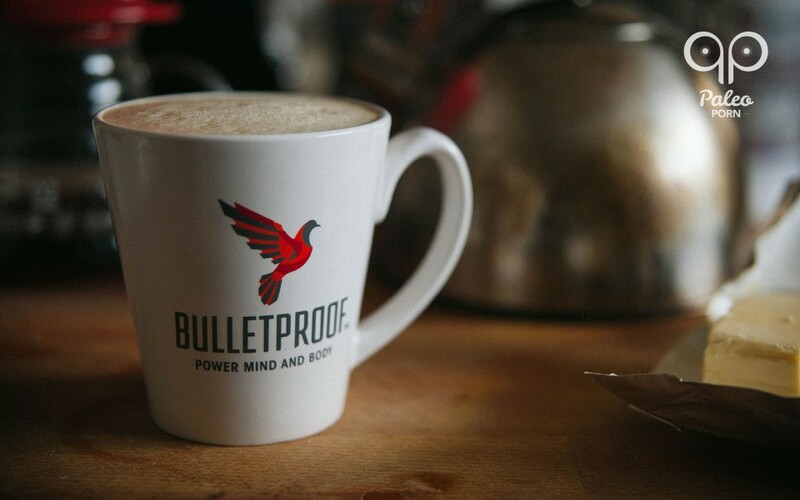 But the question is, what’s the best Bulletproof Coffee (or best butter coffee) in Chicago? How do we find Bulletproof Coffee in our hometown? 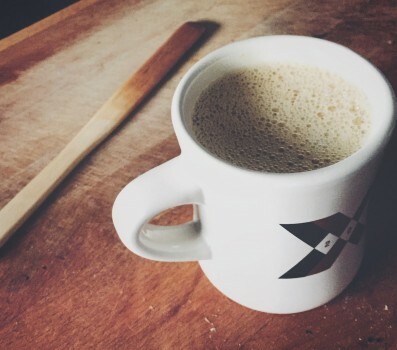 Well, for what it’s worth, I think the best Bulletproof Coffee in Chicago comes out of our kitchen (recipe here). Not much help, I know, but bear with me. My day starts with the mindful preparation of a great cup of coffee. Over the last couple years I’ve started my day hand grinding a great roast from local (Chicago) favorite Intelligentsia. The mindful process of preparing a great pour over coffee is my form of morning meditation. Drinking that cup while reading Seneca rounds out my perfect morning. Despite falling hard for Bulletproof Coffee with my favorite roasts I wasn’t initially keen on purchasing Dave Asprey’s low toxin coffee beans. I guess I assumed that, since the focus was on mold and toxins, he wouldn’t concern himself with a great single origin roast. But once I took the leap and bought my first bag I haven’t looked back. Not only do his beans make quite a good cup of coffee, but I can now notice the difference in my performance between a mid-grade cup and a high quality, low toxin cup of coffee. That’s not to say that there aren’t stellar roasts from Intelligentsia or other boutique roasters, the difference merely comes down to the performance consistency from bag to bag. Now I start my day much like before, but with Decaf Bulletproof Coffee. Why decaf? Well once I started to truly optimize my performance with everything from food to coffee to sleep, I found that caffeine began to adversely affect me. Despite no longer feeling the need for caffeine at the start of my day I persisted and Marla began to notice that my hand shook as I would carry on conversations over coffee. That was the beginning of the end of my daily full dose of caffeine. Due to the typical poor processing of decaf I now only drink Dave’s decaf unless I’m out and have a great cup of full caffeine regular coffee. You probably noticed that I’ve been interchanging Bulletproof Coffee with butter coffee. Saying butter coffee instead of Bulletproof just denotes that the coffee isn’t made using Dave’s Upgraded Coffee Beans. That said, Picnik and mmm…COFFEE! both serve butter coffee with the highest quality local roasts so there’s little concern of suboptimal performance. Dave Asprey is currently in the process of opening the first official Bulletproof Coffee Shop in Santa Monica. We’ll be excited to check it out the next time we’re in LA. But back to the question at hand, when we’re not at home, where do we find good butter coffee? Currently Beatrix Coffee on Clark is the top choice for Bulletproof Coffee in Chicago. They serve actual Bulletproof Coffee using Upgraded Coffee Beans, although when we went there our coffee came out of pot that was labeled Metropolis. The barista assured me, however that it was in fact Upgraded Coffee and he simply used the wrong canister when brewing that day. We enjoyed a nice cup of Bulletproof Coffee at Beatrix, but I was somewhat surprised about two things – the cup was not full and there wasn’t nearly as much foam as I’m accustomed to. I’ve read some reviews that balk at Beatrix’s $9 price tag and I hate to say that I side with that sentiment in this instance. Although Picnik and mmm…COFFEE! don’t use Upgraded Beans, both are half the price of Beatrix and, in my opinion, superior cups of Bulletproof Coffee. I’ve read about another coffee shop selling butter coffee in Chicago, but despite their best intentions it’s not Bulletproof. Ugly Mug uses grass-fed butter and coconut oil so it’s nearly there (MCT Oil is preferred over coconut oil), but the addition of agave is a very unfortunate choice that I can’t recommend. Agave nectar is not paleo and is produced in a similar fashion to high fructose corn syrup, but actually higher in fructose than the less than ideal HFCS. For more about the negatives of fructose watch Robert Lustig’s spectacular talk, Sugar: The Bitter Truth. So unfortunately, despite having Butter Coffee on the menu, I have reservations about recommending Ugly Mug as a destination for Bulletproof Coffee in Chicago – even if ordered sans-agave. Don’t get me wrong it probably tastes great, but the inclusion of agave leads me to second guess their practices and has me concerned that they may be jumping on the Bulletproof bandwagon without a full understanding of the decision. Ugly Mug has reached out since I published this article to let me know that agave is and has always been optional. Finally it looks like Billy Corgan of Smashing Pumpkins fame has opened a high end tea shop and art studio in Highland Park. Madame Zuzu’s lists Bulletproof Coffee on their menu, but their recipe appears to be MCT Oil, coconut oil, and Stevia. I’ll need to give it a shot before I can give it any seal of approval, but without grass-fed butter and the inclusion of Stevia (I’m not a fan) I’m not sure if I’ll be trying it any time soon. I only just discovered this shop when looking for a great tea shop, but when I make it out I’ll try to make it a point of also trying their version of Bulletproof Coffee. So there you have it! When looking for Bulletproof Coffee in Chicago there’re currently a few choices. I prefer to make it at home, but we’ll be keeping our eye out for the next Butter Coffee offering to hit the Chicagoland Area and once it arrives you can be sure we’ll review it here!